Lastline, Inc. provides innovative AI-powered network security products that detect and defeat advanced threats attempting to enter and operate within a network. We protect network, email, cloud, and web infrastructures, minimizing the risk of damaging and costly data breaches with fewer resources and at lower cost. Lastline’s technology is used by Global 5000 enterprises, is offered directly and through resellers and security service providers, and is integrated into leading third-party security technologies worldwide. More jobs at Lastline, Inc.
Want to get notified about new jobs at Lastline, Inc. ? 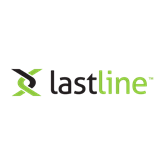 Front-End Engineer at Lastline, Inc.